Bake 6 delicious hot cross buns and create Easter themed craft activities. Suitable for ages 2-12. All ingredients included. For more information and to book a place please call Sarah on 07555 575605 or email sarah.pittaway@cookstars.co.uk. You can also find more information and book directly on their website here or on you can follow them on facebook here. New to Yorkshire, didi rugby inspiring fun, confidence and activity!! Details of Easter Camps coming soon. At didi rugby we offer multi-skills based activity classes with a rugby theme for girls and boys aged 18 months – 6 years. The aims are to improve self-confidence, skills and sporting ability, whilst including the core values of Teamwork, Respect, Enjoyment, Discipline and Sportsmanship. We do this using a range of games and activities delivered by fully qualified coaches in a relaxed environment. Also regular weekly sessions in Pocklington and Beverley. For more details and booking please call 07730 596663, email emma.cutress@didirugby.com or visit our website here or our facebook page here. Goals Soccer Camps are perfect for developing your child’s soccer skills. Whether they are a budding Beckham or a complete beginner we have something for everyone. The days are packed with fun football activities from skills to games and much more. Easter Camps: 8th – 11th April and 15th – 18th April. £10 per day or £40 for the week. Half price sibling discount. Suitable for ages 4 – 14 years and everyone is welcome. To book call 01482 730100, email hull@goalsfootball.co.uk. or you can find more info on their website here. 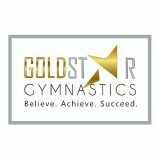 At Goldstar Active’s new purpose built gymnastic studio, York Way, Willerby, HU10 6HD. (next to Aldi, behind Store More). Multi-active camps, includes gymnastics, trampolining, street dance, musical theatre. All taught by qualified instructors. Holiday camps running daily during School Holidays. Easter holiday camps running daily 8th to 12th April and 15th to 18th April 2019. Suitable for ages 5+, £20 per full day or £12 per half day. No need to book, just turn up on the day. For more info call them on 0800 160 1667, email hello@goldstaractive.co.uk or check out their website here. All classes also running during the school holidays and a cafe and soft play inside, all welcome just pop in! Football training, fun, games and tournaments for boys and girls aged 4-13, all delivered by qualified FA coaches. Run 9.30am-2.30pm Tuesday to Thursday during most school holidays. Easter 2019 holiday camps are running on: 9th, 1oth and 11th April and 16th, 17th and 18th April. £10 per day or all 3 days for £25. 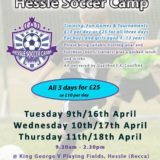 Please contact hesslesoccercamp@gmail.com or call 07903 552528 / 07724 329313 for more info and to book, or check out their facebook page here. The Recca (King George V Playing Field), Boothferry Road, Hessle. 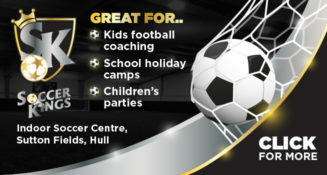 Soccer Kings run school holiday football camps at their soccer centre in East Hull. Easter camps running 8th to 12th April & 15th to 19th April 2019. Breakfast club £3 per day: 8am – 10am (sibling discount doesn’t apply for breakfast club). Coaching camp £10 per day 10am – 3pm (50% sibling discount). Children can bring packed lunch or pay £2 for Dinner club. Suitable for ages 4-13. Call for info and to book – 01482 822848 or email info@soccer-kings.co.uk or check out their website here for more info. Oslo Road, Sutton Fields Industrial Estate, Hull, HU7 0YN. Intensive swimming course during the Easter Holidays at Sportsability Swim School, Dunswell. Quality lessons for intermediate and beginners. Lessons running 8th – 12th April and 15th – 19th April 2019 daily, beginners classes at 9am and 9.30am, intermediate classes at 10am and 10.30am. £45 for 5 x 30min classes. Maximum 6 per class. Highly experienced and qualified teachers and assistant in the pool, in a private pool with exclusive use. Limited availability, please book early. To book call 01482 229676, email sportsabilityswim@gmail.com or follow them on facebook here. Sportsability also run Activity Days for children in some school holidays, from Sportsability. None running at Easter, for next dates please call Sportsability on 01482 229676 or email info@sportsability.org.uk. The Academy Sports Centre (Dance Studio St Marys College), Cranbrook Avenue, Hull. Cheer Camps run during some school hoolidays, 9.15am – 3.00pm. Suitable for ages 7 -14 years. £30. Come and join us for Stunting, Tumbling and Pom Dance at cheer camps! Book your place now! Details of Easter dates coming soon. 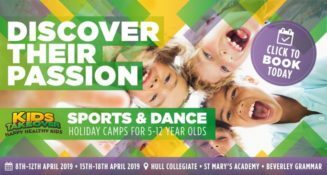 Child Dynamix are hosting some Sport sessions (Tennis, Football and Multisport) this Easter 2019 at a few locations in Hull, including Shelley Avenue, Archbishop Sentamu Academy and Stonebridge Park. They run from Monday 8th April until Thursday 18th April. There are plenty of sessions to keep you (or your child) entertained during the holidays. Kids Easter Bubble Mug Workshop – 18th April, 2-3.30pm: In this event you will be creating bubble effects on ceramics, using our specialised paint and hand soap creating unique and individual effects! You will be blowing bubble effects on a mug to create your masterpiece. ALL the ceramics painted at this event will be out of the kiln and ready to collect the following Tuesday. 3yrs and above. Prebook only 15 tickets available. £12 each. 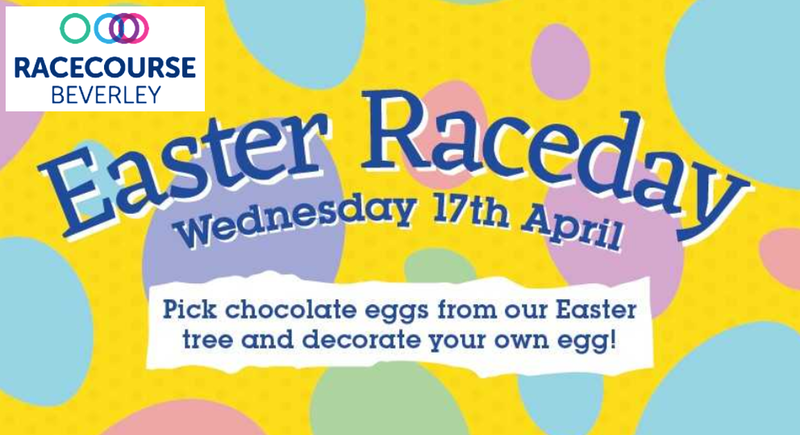 Kids Easter SLIME Workshop – 12th April, 2-3.30pm: In this event you will be creating your own personalised slime! We will supply everything you need to create slime, you can choose your favourite colour or leave it clea.! We will also have a range of fabulous bits and bobs for you to personalise your slime with! 3yrs and above. Prebook only 15 tickets available. £12 each. Kids Egg Hunt Basket Workshop – 10th April, 10-11.30am, or 2-3.30pm: In this workshop you will create your very own Easter Egg Hunt Basket! This workshop is ideal for siblings of different ages as we cater for 2 different age ranges – 3yrs+ and 7yrs+. Both baskets come with Easter treats. Prebook only 15 tickets available. £12 each. Coffee Cake Create is an independent pottery studio and coffeehouse based in Market Weighton. All children must be accompanied by an adult – 1 adult for up to 4 children. All our workshops will be held upstairs but adults are more than welcome to sit and relax downstairs, refreshments and cake available in our coffeehouse. Prices are £12 each, and suitable from 3yrs. They need to be prebooked – only 15 tickets available for each event. For more information contact coffeecakecreate@yahoo.com or 01430 872903. Coffee Cake Create Pottery Studio & Coffeehouse, 5 High Street, Market Weighton. 2pm – 3.30/4pm. 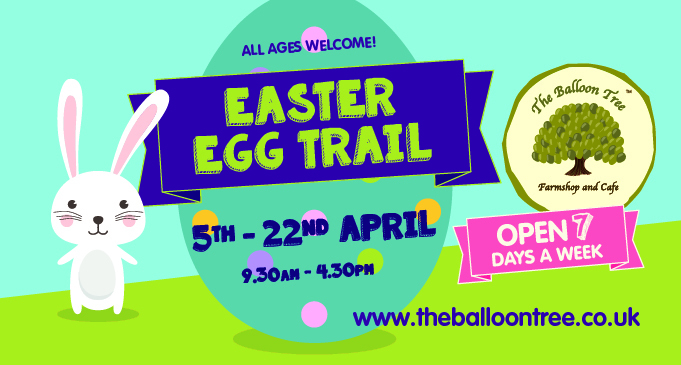 Easter Treasure Hunt – 6th-22nd April: £5.00 buys you a route map around the village in search of coloured eggs. Make you way back to the shop unscramble your letters, and win an Easter Egg and a bottle of Wild Water (included in the price). Just one 45 minute route available this holiday, but it’s sure to amuse and entertain. Dressing Up as the Easter Bunny is very welcome, and gets you a sweetie before you even start! No booking required, just turn up at the shop and explore. Allow at least 45 minutes to complete – shop closes at 4pm daily. Paint me a Story – The Tiger Who Came to Tea – 10th April, 10.30am-12pm: Sophie and her Mummy are having tea in the kitchen when in walks a hungry tiger who asks to stay to tea…Group story time and then children can paint their own tiger. When it’s finished, Nickie will write on the name that you choose for your tiger, or maybe even your own name! £.10.70 per child includes Storytime, pottery and paint, and squash for all. Paint me a Story – The Story of the Easter Bunny – 17th April, 10.30am-12pm: Everyone knows who the Easter Bunny is. But not everybody knows where he comes from. On a snow-cold day in a snug little house… So begins the true story of the Easter Bunny! A wonderful, gentle story by Katherine Tegan. Group story time and then children can paint their own Easter Bunny. When it’s finished, choose a special name for your bunny and Nickie will write it on for you. £10.70 per child includes Storytime, pottery and paint, and squash for all. Spaces are limited so booking is advisable. A £5.00, non-refundable deposit is required to secure your place. Please phone the shop on 01482 654481 to pay by card, or call into the shop. Hull Kingston Rovers Ground, Craven Park, Preston Road, Hull. For more information on these or Lab Rascals Children’s Parties contact katie@labrascals.co.uk, or call 07828 285155. Join us for an egg-citing day of acting, dance and singing workshops led by a show stopping team of industry professionals. Children will work towards creating a spectacular showcase to be performed to family and friends at the end of the day. Only £28 per child! All children 3 – 16 years welcome (not just NLD pupils). Tennis & Multi-Sports Camp run during some school holidays, headed up by Head Coach, Sean Evans & his team. Suitable for 4-16 year olds. 2 options – half day camp 9am-12noon (£25) or full day camp 9am-4pm(£35), discounts for full week bookings. Early drop off and late pick up options are also available. Mornings – tennis, afternoons – tennis plus multisports including unihoc, football, rounders & quick cricket. Please contact Sean Evans on 07772 151545, or email sean@pocklingtontennis.com for more info and bookings. 11th-12th April, 10-4pm: Easter 2 Day Cricket Camp, for ages 8-16 years. With David Byas. £65 per person. 1pm on the 13th to 3pm on the 14th April: Wicket Keeping Camp, for juniors and adults. Led by Paul Shaw with David Byas and Jonny Tattersall. £149.99 residential or £99 non-residential. £5 per child per session, age 5+ (younger children welcome if an adult stays to help). You can find a list of all the general activities and events running across the October half term school holiday on the October Half Term Activities page here. At Swanland Lawn Tennis Club, throughout school holidays. Holiday Camps: for ages 5-16 yrs. Morning camp 8.30am-12.15pm (£14/day), Afternoon camp 1pm-5pm (£11/day), Full Day camp 8.30am-5pm (£21/day) or any 5 hours camp (£15/day). The Tennis Academy East Riding hold tennis and multisport school holiday camps run by LTA qualified coaches for 5-14 year olds at South Cave Tennis Club during school holidays. £16 each day per day or 4 days for £50. Booking is essential as spaces are limited, to book and for more info call Carl on 07813 611149. Tigers Trust Sport & Education Easter 2019 Soccer Schools include quality coaching sessions, fun games, challenges and small sided matches. They are for boys and girls ages 5-12. All abilities welcome. Week 1, 8th-12th April, 10am-3pm: Venues – Airco Arena, Hornsea Secondary School & Howden Secondary School. Week 2, 15th-18th April, 10-3pm: Venues – Airco Arena, South Holderness School, South Hunsley School, & Withernsea Secondary School.